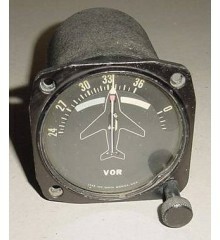 Vintage McDonnell Douglas DC-10 Fuel Totalizer / Gross Weight Indicator as shown on photo. Manufactured by Gull Airborne Instruments. P/N 308-003-007. Glass face is cracked. Sold as is, no returns. McDonnell Douglas DC-10 Instrument / Circuit breaker Panel Overlay. P/N A925-91613-004. It measures 15 3/4" by 5". It is in good condition. McDonnell Douglas DC-10 Overhead Cabin Light Assembly as shown on photo. P/N 0200437-001. It has a serviceable tag, (1998). Sold for display only, as is, no returns. Vintage Northwest Airlines McDonnell Douglas DC10-40 Aircraft Cockpit Speaker. P/N G-2566. It was removed from a salvage aircraft.